Every once in a while you come across a rare trailblazer like the young Dutch star Oliver Heldens, who stands out from the crowd with his own distinctive sound. A genuine superstar with No. 1 hits and over a billion cumulative streams to his name, he is at the vanguard of the new generation of house music stars. As much as Oliver Heldens is one of the most prolific and successful DJs and producers around, he is also a resolute perfectionist. Working tirelessly in his studio to craft new sounds and directions at every available opportunity - it’s this attitude to innovation that saw him launch his spectacular HI-LO side project, which pushes his intricate and forward-thinking production aesthetic to its limits. The revered moniker has enabled him to present a more edgy side of his production skills, taking notes from the underground and embodying their sound in his unique way. 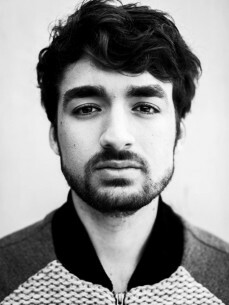 It’s also this encompassing and extensive interest in music of all forms that led Heldens to set up his own record label, Heldeep. Heldeep has since become a platform for music by veterans like Dada Life, Chocolate Puma and Tommie Sunshine to new kids on the block like Alok, Throttle, Brohug & Zonderling and it stretches far beyond just releasing music. Heldeep has hosted stages at many of the world’s premier festivals including SW4 in London, Tomorrowland in Belgium, Spring Awakening in Chicago and hosted club nights and day parties all over the planet. Most notably during Amsterdam Dance Event in 2017, when Heldeep took over the infamous Paradiso for the second time, debuting an entirely new boxing theme. Six months later and one ocean over, Heldens threw one of the biggest parties of Miami Music Week in collaboration with Monstercat. As well as being one of the most talented producers in the game, Oliver is also one of the world’s favorite house DJ’s, landing at #13 in the 2017 DJ Mag Top 100! His residencies at Hï, Pacha & Ushuaia Ibiza as well as Marquee Las Vegas in addition to his billing as a headlining act at seminal festivals across the globe including Glastonbury, EDC, & Ultra continue to place him at the epicenter of the global DJ circuit and keep him spreading his eclectic, high-octane sound to millions of clubbers throughout the year!